For a while, it seemed as if the good times would never end, that mankind had truly become masters of our own universe, gods in our own right. Little did we know, our time was almost up. No one knows where it started. No one knows why. By the time the scientists figured out what was happening, it was already too late. Most of humanity perished in the first few weeks, stricken down by a fast-moving infection, only to rise up as a zombie with an insatiable hunger for human flesh. Millions burned to ash when the military rained fire on the cities in a futile effort to halt the contagion. Millions more simply lay down and gave up, unable, or perhaps unwilling, to exist in a world no longer fit for human occupancy. Despite all the death and destruction, there were survivors, brave men and women who stared into the face of annihilation and chose instead, to live. Together, they set about to rebuild civilization, to create something new and permanent out of the ruins of what came before. 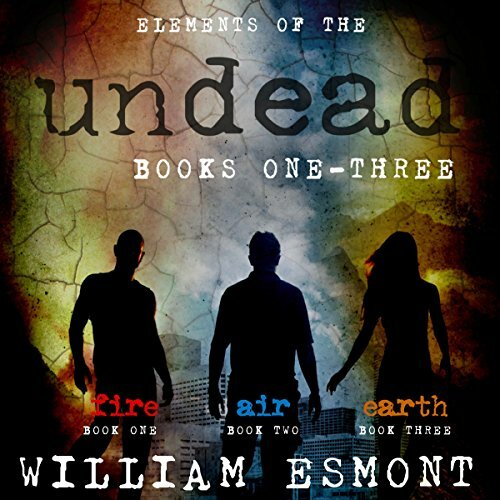 This omnibus combines the three Elements of the Undead books in a single volume.